Today, everyone is doing #socialmediamarketing on Twitter – particularly since Facebook locked down the ‘free social media advertising’ businesses were enjoying through their Pages. Since you now have to pay to ‘boost’ your Facebook Page post to even reach all the people who Like your Page, the social media marketing community have turned, in unison, like a flock of sparrows, into a whole new Universe – the ‘Twitterverse’ – where a whole new race is on. If your competition is tweeting away just as much as you are, about the same stuff you are tweeting about, somehow you have to make yourself heard in all the noise. So what do you post that’s better, funnier, more ‘re-tweeteable’ than the competitions? Yes, you do need to think about all that, but what you really need is ‘Brand Loyalty’ and this is where the focus of your strategy should be. 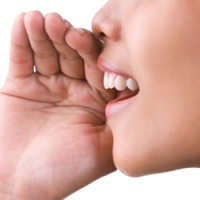 Perhaps like no other social media platform, Twitter offers the closest things to valuable ‘word of mouth’ marketing. Keep that in mind when tweeting – both text and images. Don’t tweet all the time, and when you do, make sure the tweets are short, sweet and meaningful. Don’t only tweet ‘salesy’ stuff, and keep all your posts light-hearted, informal and fun. Make your followers feel like they are part of a community. If you can # a trending topic with a funny take on it… then go for it! But stay away from politics, controversy and anything else that could be misinterpreted, land you in hot water, or lose you followers. Keep your opinions to yourself and watch out for the ‘tweet police’. Reward your followers for following you. Offer specials for your Twitterverse customer base. Get them involved in Twitter-based competitions, ask for feedback and reward it with specials and prizes – nice ones too. Don’t throw bones. Last but not least – track your Twitter followers’ reactions and re-tweets, and adjust your Twitter-based social media marketing campaign accordingly. Contact Us at WSI OMS to help you design a social media marketing campaign that will inspire your customers to follow you on Twitter – and keep them following you.